Knitting Instructions, Easy Knitting For Beginners Of All Ages! Learn How To Knit With Easy Knitting Instructions - A Free Lesson For All! Welcome to Knitting Instructions For Beginners! I'm glad you're here. If you want to knit, you've come to the right place. 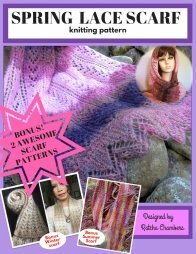 This is where beginners can relax and enjoy learning how to knit by following step-by-step written and video instructions. 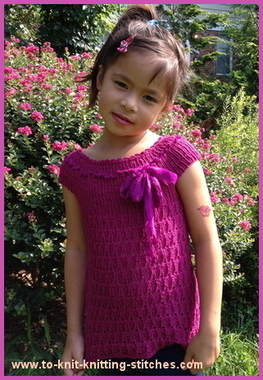 Other more experienced knitters can also enjoy free knitting patterns designed by myself. Here are some of my knitting patterns that I share with knitters. Some of them have video tutorial as well. Here are some of the basic knitting stitches you'll find here at my Site. 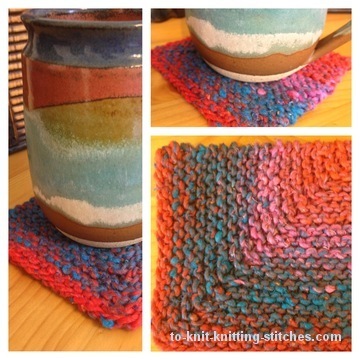 Casting On Methods -The first and most basic step you'll learn when you start knitting. The Knit Stitch - One of the basic stitches in knitting besides purl stitch. The Purl Stitch - Another important stitch you must learn in order to knit. Increase Stitch(es) - Learn different increase methods. Decrease Stitch(es)- Learn Different method of decreasing. Cable Knitting -See how you can knit variety of beautiful cable stitches. Ribbing - Another simple way to have fun with your stitches. Casting Off or Binding Off - The method which keep stitches from raveling. It is usually done at the end of projects. Besides these basic stitches, you'll also find many helpful resources such as Knitting Help where I answered questions from visitors. There are also many easy and beautiful Stitch Patterns to practice and incorporate them into your knitting projects. Once you ready to take on a fun project, you can head to the Easy Knitting Pattern Page where you'll find variety of easy patterns for beginner. Take your time and study each one carefully. Be sure to bookmark this site, so that you can easily return. You may also want to subscribe to RSS feeds so that you won't miss any updates. Have fun! Imaging You're Going To Become a Knitter! My Knitting Instructions and patterns are free. Please help pass it on to your friends and anyone you know who want to learn to knit. Maybe today, tomorrow, or this week. I bet you will know how to knit a scarf by day 3! Pretty soon you'll be knitting like a Pro. It can and will happen. "Hello. My name is Jody. I've wanted to learn how for a long time, and now I'm so excited because of this website! I've tried so many orher websites and watched so many videos. They were so confusing and didn't make any sense at all. So 2 days ago, I discovered your website, and read and watched the directions and videos of how to begin knitting. It was so simple and made easy! I've actually fallen more in love with knitting because you make me want to learn more! I'm now learning how to connect the stitches! Thank-You for this awesome and fun website! It's so much fun! I'm gonna recommend this site to my friends and family who wants to learn how to knit! Thanks Again! " People often asked me curiously “Did you knit that?” “Where did you learn how to knit?” and often commented “How pretty!” when they see my twin toddlers wearing colorful knitted skirts or sweater. And of course I feel so proud and happy that people like my works and want to know more. It's one of the best happy feelings for me. This is why I want to pass this joyful moment to you and others. The least I can do is show people how to knit. 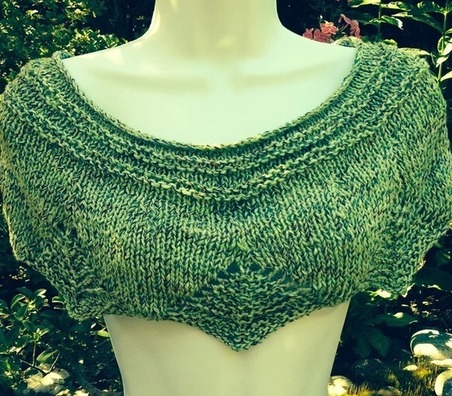 You'll be amazed how fast you will catch on with knitting stitches. Imagine, showing off your very own hand-knitted projects to your family and friends in the near future! Oh..Yes, you'll be doing that soon. Knitting is a fun and relaxing hobby that anyone can learn. I designed this easy knitting site especially for beginning knitters although experienced knitters are very welcome as well. My basic knitting instructions include all fundamentals of knitting you need to know. In no time, you will knit like a pro and be on your way to making many lovely knitted gifts for your family and friends. Left: My daughter wearing my designed top. 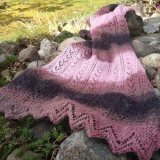 Hi, my name is Ratcha, a creator of To-Knit-Knitting-Stitches.com, a wife, a mother of twin girls, and a passionate knitter of almost 20 years. I taught myself how to knit with a knitting kit I bought during my college years. At that time I had just arrived in the United Stated from Thailand and I got so homesick. I wanted to do something fun that would distracted me from thinking about Thailand. Luckily, I found knitting! It give me a whole new world to live in. The only sounds I hear in my head are Knit..Purl..Knit..Purl and nothing else. Since then I have knitted countless numbers of sweaters, hats, scarfs, mittens, baby gifts, skirts and many more. (see my Knitting Projects Gallery) You can read more about me HERE. I hope you learn something new and fun today from this knitting instructions site. Come back to knit with me as often as you like. Tell your friends and family to join in. In addition, I would love more than anything to hear from you and to see your knitting projects in the near future. To Start Your Knitting Lesson Goes To: Lesson Plan page. I made an easy 10-step lesson plan for you to follow. Good luck!and...Don't forget to leave me a comment HERE ! Feel free to leave me a comments! I'd love to hear what you have to say. Thanks!